Many people think car washing and car detailing are one and the same. But this is not the case. Detailed car washing goes beyond the normal car wash to make a vehicle look spotlessly clean both inside and outside. Unlike car washing, detailing does not involve using an automated system to do the cleaning. Instead, it involves handwashing by very experienced detailers. Car wash detailing is divided into two components: Interior Detailing and Exterior Detailing. Exterior Detailing – It involves vacuuming, restoring, and surpassing the original condition of the exterior constituents of a vehicle, such as tires, windows and wheels, among other visible components. Products include but are not limited to: polishes, wax, detergents and degreasers. 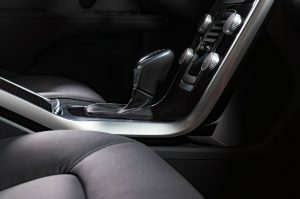 Interior detailing – Interior detailing involves cleaning the inner parts of a vehicle. Some of the components found in the interior cabin include leather, plastics, vinyl, carbon fiber plastics and natural fibers. To clean the interior cabinet, different techniques such as steam-cleaning and vacuuming are used. Outer beauty is nothing compared to inner beauty. Therefore, it comes as no surprise that interior car detailing requires more effort and time than exterior detailing. A dirty interior cabin not only has a bad odor, but also adds to operational complications. Dirty air exhaust spreads allergens about the cabin; stain and grit causes switches to fail; and hazy windows can obscure the view of a driver. In that case, cleaning a car’s interior is more than just washing with water and soap. mats and the vacuum should be cleaned separately. As for the difficult areas that cannot be reached using a vacuum, an air compressor can be used. Brushing and Steam Cleaning – This is used to clean carpets and mats. Thorough scrubbing is done on the mats in order to remove any stains and blemishes that may have accumulated over the past years. To be more effective, a steam-cleaner should be used. However, carpets should be left to dry completely to avoid mildew. Glass Cleaning – A glass cleaner is used to clean the glass. It ensures that the glass remains sparkling and ensures the driver’s view is not obstructed. Leather Trimming – A leather cleaner, saddle soap and leather soap are used to clean all the leather parts. As for the soapy areas, a damp cloth is used to remove the excess soap. If the leather is dry, a conditioner customized for leather can be used to make cleaning more efficient. Re-Vacuuming and Wiping – Re-Vacuuming is important just after vacuuming. Any dirt left in the interior cabin is removed. Dashboards and windows should be wiped clean with a clean cloth using a cleaning detergent. After all this is done, a car’s original shine is restored. Perfuming – Finally, to leave the car with a good scent, a deodorant is used in the car. Exterior car washing is not just a quick wash of the exterior components of a car. A good detailer will make the car gleam, minimize surface scratches, and should always apply a shielding paint sealant. Washing and Drying – Unlike a car wash, detailing is done by hand. The first step involves spraying the car with specialized spray that is high-powered, followed by thorough hand washing on the rims of the car, door jambs, glass and all exterior parts that need cleaning. Claying – A clay bar is used to remove any impurities, traces of overspray and other residue that cannot be removed with normal detergents. Polishing – After a car has been used for a while, it is normal that it loses its polish or shine. Therefore, in this process, the original polish is restored. Sealing – To give the car a glossy shine, a sealant is applied, and in some cases, wax can be used. Other exterior services that can be done include trim repainting, engine detailing, headlight polishing, engine pressure cleaning, bumper repair, glass chip repair and paint touch up. Finally, car wash and detail should involve analyzing all the types of paint, previous and current damages such as flaking, peeling, cracking and repainting, exterior conditions and analysis of rust, damage from acids and other effects of oxidation. Regular auto detailing adds value to your car and also makes it look attractive despite the number of years it has been used. What Are Common Car Detailing Prices? Car detailing prices differ depending on a couple of things such as the reputation of a business, its professionalism, the type of detail, and the size of the car. The higher the quality of service, the higher the cost. Different packages are offered for different prices. A basic package includes vacuuming, window wash, tire cleaning, trim cleaning, wax and a wash. For such a package, $50 to $75 is the average price for an average-sized car, but for a van or an SUV, $75 to $150 is the average cost. For an upgraded package, more attention and detail is given when cleaning the car. For that reason, a higher price should be expected. In most cases, the price is always above $175. Using Materials Wisely – If you decide to detail your car by yourself, use materials sparingly so that you can use them a couple of times and in that way, save on costs of buying materials now and then. Additionally, make sure you follow instructions to the letter. For example, most detergents require water to dilute them. If you do not read the instructions carefully, you will be forced to keep buying new materials now and then. Buy Discounted Materials – To save on the cost of materials, do extensive research on all products required to do auto detailing. With all information, you can buy materials from shops that offer cheaper but quality materials. Even if you decide to visit a car washing detailer, make sure you do some good research so that you can get one who offers quality services at a relatively fair price. Regularly Detail Your Vehicle – Regular detailing ensures that your car remains serviced and cleaned. If you go for long without detailing it, you will have to spend more money to clean it since dirt will have accumulated. On top of that, it will be impossible to use the same materials more than once because they will have expired by the time you detail. Taking your car to a car wash is very important. However, it is good that you detail your car once in a while. A new car always has a clear coat on top of the paint. With time, that coat fades away due to exposure to sunlight. Without the coat, the car looks really old and undesirable. How Auto Detailing is Beneficial to Your Vehicle. Extends the lifespan of your vehicle – Auto detailing removes contaminations that may have damaged the car’s leather, vinyl, chrome and paint. In that case, detailing helps the car depreciate at a lower rate. Improves the car’s physical appearance – After buying your new car, the sparkle remains for a while. Despite regularly taking your car to the car wash, with time your car will definitely lose its outer appeal. With car detailing, your car’s original appearance can be restored. An experienced detailer or technician will make sure that all areas are checked for dust, dirt, scratches, odors, etc. Maintains the paint condition – Your vehicle’s paint can be affected by debris, dust, dirt, etc. Regular detailing ensures that a coat of wax is applied over the paint to reduce scratches. Wax restores that new-car shine, and at the same time, provides a protective barrier. Allows your engine to run cooler – With regular detailing, your engine gets cleaned of dust, leaks and dirt. These ensure that the engine runs more smoothly. Extends the resale value – Auto detailing technicians give your car its best look just before a sale. Experienced professionals are aware of market standards as well as customer preferences, so they can help you improve your car’s condition. Therefore, with auto detailing, your car will fetch a higher resale value when you decide to sell it. Satisfaction – Driving a shiny car is more rewarding than driving a dirty one. A clean car reflects your temperament. It shows that you care about your vehicle, and it also makes you feel proud and confident while on the road. Additionally, if you use your car for business purposes, it will show that you are a clean as well as a neat person. Saves money – Regular auto detailing allows you to save money in various ways in the long run. One of the ways is that, with the lifespan being increased, chances of repairing the car now and then are minimized and thus costs are saved. Second, less gas is used since the engine runs smoothly and efficiently. Third, headlight restoration improves the intensity of lights, which improves the performance of the vehicle. In the end, maintenance costs are reduced. Provides a healthy ride – A lot of dust particles can get in the carpet or ventilation of a car. With auto detailing, your car remains clean and without allergies. Additionally, detailed car wash ensures that long term effects of environmental exposure are reduced, and cases of ill health are reduced. Reduces cases of accidents – Car wash detail ensures that all the haze and dirt are removed to avoid obscuring the driver’s view. For that reason, chances of causing an accident are reduced to a great extent. If you are looking for auto detailing services, Cobblestone Auto Spa is one of the best car detailing companies. They have different packages offering different detailing services at budget-friendly prices. Feel free to contact us. If you want more info about car detailing and/or detailers, a quick search for “car detailing near me” should do the trick.